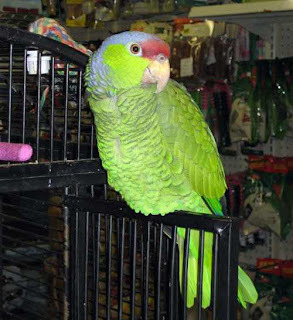 A guy is browsing in a pet shop, and sees a parrot sitting on a little perch. The parrot says, 'I was born this way. 'Holy crap,' the guy replies. 'I got every word,' says the parrot. 'Oh yeah?' the guy asks. "Well,' the parrot says, 'this is very embarrassing, but since you asked, I wrap my weenie around this wooden bar, like a little hook. 'Actually, I speak both Spanish and English, and I can converse with reasonable competence on almost any topic, politics, religion, sports, physics, philosophy. I'm especially good at ornithology. 'Pssssssst,' says the parrot, 'I'm defective, so the truth is, nobody wants me, cause I don't have any feet. The guy offers $20, and walks out with the parrot. He has a great sense of humor, he's interesting, he's a great pal, he understands everything, he sympathizes, and he's insightful. One day the guy comes home from work, and the parrot goes, 'Psssssssssssst,' and motions him over with one wing. 'What are you talking about,?' asks the guy. 'WHAT???' the guy asks incredulously.